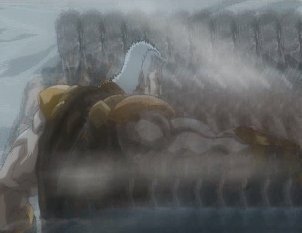 Raoh and Kenshiro fight each other in a final battle. 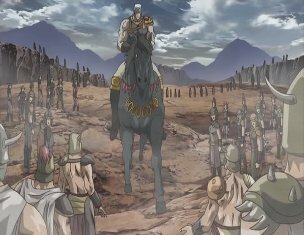 Raoh and part of his army head to an area where another battle has taken place. Another part of his forces defeated a unit of men belonging to the Nanto Army. 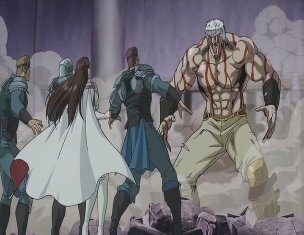 Nobody knows who is leading this army, but then Shuren attacks Raoh. 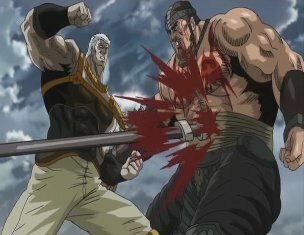 Despite using a suicidal attack, Raoh manages to stop and kill him. Up above on a cliff, the last Nanto General, Yuria, has been watching along with two of the other Nanto Goshasei members: Rihaku and Fudo. She says that even Shuren's suicidal attack failed to stop Ken-Oh, and she wonders if he can even be defeated. Rihaku doubts that even Kenshiro would be able to beat him. Yuria wonders about Toki, but Rihaku tells her he has heard Toki has died recently. The only hope they have now is to get Kenshiro to the Nanto capital. If he and the Nanto army fight together, they may be able to stop Raoh. Fudo volunteers to go and get him, as his whereabouts were discovered recently. 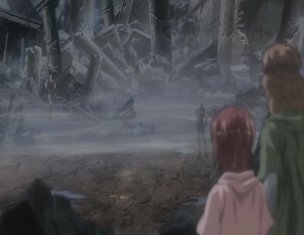 Kenshiro, Bat and Lin are at Toki's grave. Ken thinks about what Toki told him before he died -to live by changing his grief into fury -when he hears Lin scream. 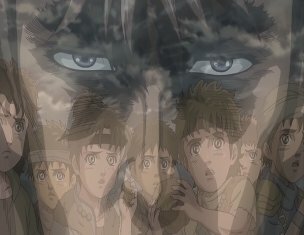 Kenshiro finds that a man called Fudo has appeared. Fudo says he once challenged Ryuken, but Ken isn't interested in his words. 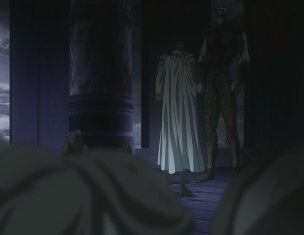 After a short "fight", Fudo reveals that he has been sent to take Kenshiro to the Nanto capital. 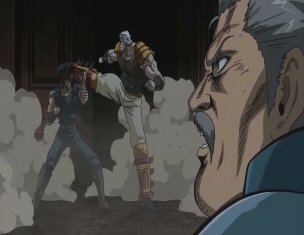 Meanwhile, at Raoh's fortress, Raoh finds out that Fudo has found Kenshiro. He tells his Generals to prepare their armies, as they are going to go out to the Nanto capital. 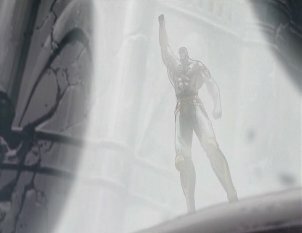 On the night before the attack, Raoh sees the spirit of Ryuken. 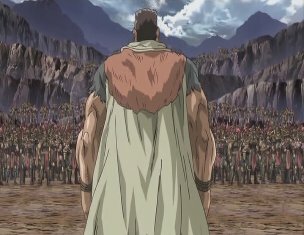 Ryuken questions Raoh's plans, but Raoh does not listen to him and the next morning goes out, leading his entire army towards the Nanto capital. Meanwhile Fudo has taken everyone to his village to gather some supplies, but Ken sees that Fudo looks after a lot of orphaned children. He tells Fudo that he can not go any further with him, as if he died, these children would have no one to look after them. Fudo agrees, but then reveals the identity of the last Nanto General -it is Yuria! Kenshiro runs to the Capital. 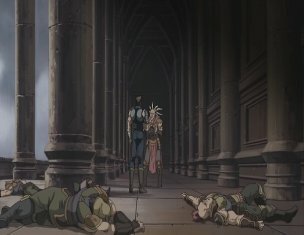 Giraque, one of Raoh's Generals, sneaks into the Nanto capital and finds out that Yuria is still alive. He avoids being killed by Rihaku and goes back to report his findings to Raoh, who immediately goes to the capital by himself. 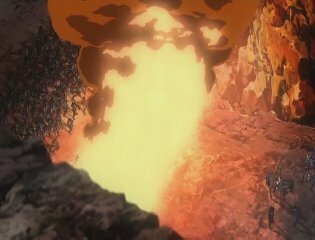 After smashing down the Nanto Army, Raoh finds Rihaku and easily evades the traps he had set out. He then tries to make him reveal where Yuria is. 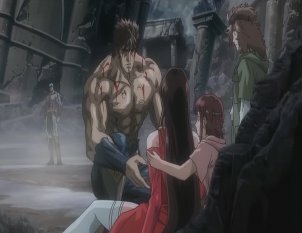 Kenshiro had already arrived in the capital, but when Yuria goes to meet him, she finds out that he has left. 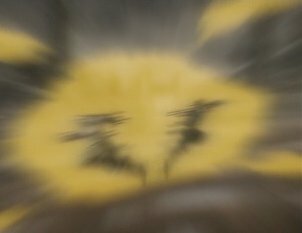 He has gone to find Raoh, as as long as that man lives, there will never be any peace. Kenshiro finds Raoh, and the two exchange punches and kicks until Raoh punches Ken into a pillar. Before he can finish him off, Kenshiro seemingly warps behind Raoh. 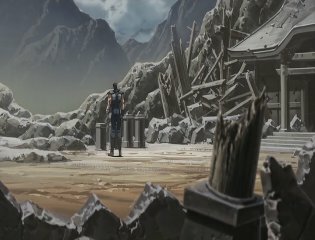 Kenshiro has achieved a state of nothingness, making it impossible for Raoh to harm him. 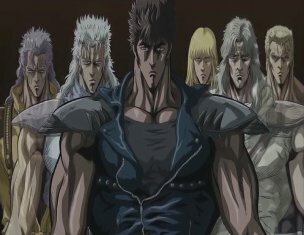 It is the ultimate technique of the Hokuto Shinken style, Musou Tensei (Nil-Thought Rebirth)! ...he ends up right in front of Yuria, and captures her. He takes her back to his fortress, where he collapses. When he wakes up, he turns to his right and sees that Yuria is there, and for whatever reason she has shown him sympathy. Raoh is very displeased, as it is the greatest insult for a man to be pitied by the woman he loves. 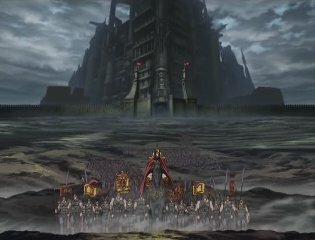 Raoh declares that he will become a demon who will drown Kenshiro in a sea of blood, and goes to find the one man who made him feel fear before -Fudo. Fudo used to be a bandit, and once attacked the Hokuto Shinken dojo. 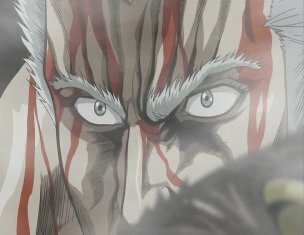 Raoh was too scared to fight him back then, but now he is ready to spill the blood of a former demon to become one himself. Meanwhile Kenshiro is at Raoh's palace and is beating up the guards there. He slaps one of them about, as he wants to know where Raoh has gone. 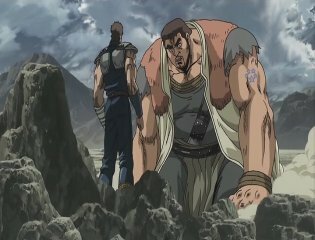 He eventually finds out that Raoh has gone to Fudo's village. Fudo and Raoh fight, but Raoh is easily winning. Despite being hit many times, Fudo is still very strong, strong enough to continue to fight Raoh. Fudo sees the sadness in Fudo's eyes, and also sees it in the children who are watching their foster father fight. It is the same look Kenshiro first had when he used the Musou Tensei. Fudo makes another charge, but is hit by an arrow. Raoh has stepped over a line he made, and his troops were ordered to fire arrows at him if he moved back over it. The arrow strikes Fudo, and is followed by several more. Raoh is shocked that he moved back, as it means he retreated. 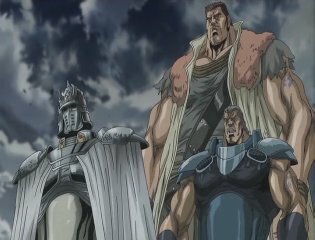 Raoh tells his troops they are fools for shooting Fudo instead of him, and is about to kill one of the gunners when Balga manages to convince him to stop. Raoh rides back to his fortress on Kokuoh. 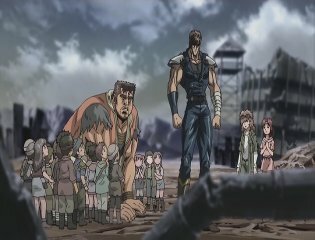 Later on Kenshiro arrives, and the children explain to him that their father managed to beat Raoh. Ken is happy to hear their words as Fudo weakly asks Ken to, from now on, embrace the children of this era, as a last favour to Fudo of the mountain. With these final words, Fudo dies. 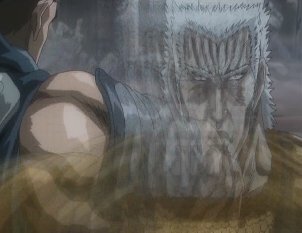 Raoh talks to the spirit of Toki and finds out the path he must take. 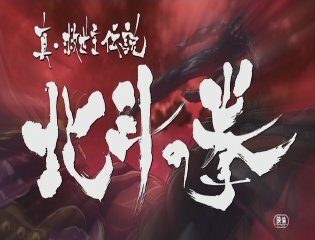 He must experience true sadness to be able to master the Musou Tensei, and the way to do that would be to lose the woman he loves -Yuria must die! 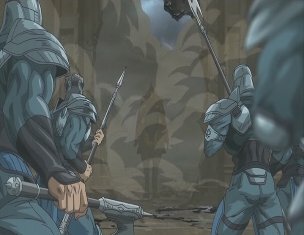 He confronts her, but Balga and some of the other troops appear. 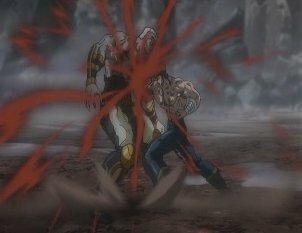 Balga shoots Raoh in his leg, demanding he stops this now. Raoh thinks about it, but then removes the arrow and says his words won't work, he needs Yuria's life. 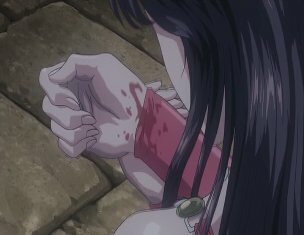 Raoh is about to hit her when she coughs up blood, and Raoh realises that she is sick. Yuria admits that she is and that she won't live for much longer. So she decided to follow her own destiny without any struggle, and became the last Nanto General. Raoh realises that she has had to wait for Kenshiro for so long, completely sacrificing her own happiness to do so. She doesn't mind her own life ending if it means bringing light to the world. 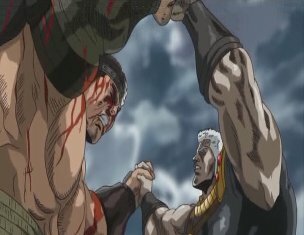 This finally brings tears to even Raoh's eyes, but it still isn't enough. He still needs to take her life, and screams for her to forgive him as he goes to strike her again. Later on, Raoh calls for a meeting with his Generals, but he kills them all, only letting Balga live. 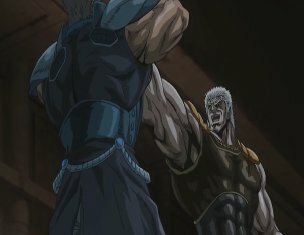 Raoh tells Balga that he can fight against Kenshiro now. If he dies, these men he killed would not have brought peace to the world. 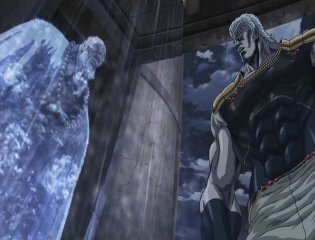 Raoh says that he cannot lose as the heavens would mock him if he did, and he walks out of the room. The next morning Kokuoh is sent to Fudo's village. 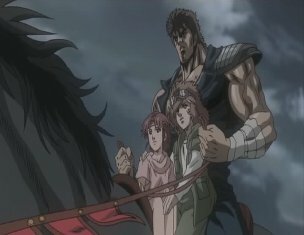 Kenshiro gets on the horse and invites Bat and Lin to come with him, as they will see his final battle. Kokuoh arrives at a place known as the Hokuto Renkitouza, a place where he and the others used to train. The fight begins, and Kenshiro uses Musou Tensei to knock Raoh down. Ken goes to finish him, only to be surprised when Raoh uses Musou Tensei against him! 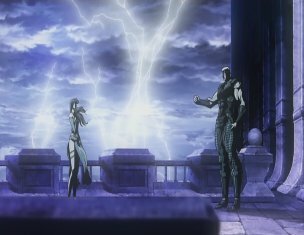 Raoh reveals that Yuria is here, and he blasts the area he has left her at. Ken catches her and cannot tell if she is dead or alive. Raoh explains that for the first time he had a woman...but with her life he was able to awaken the Musou Tensei. Kenshiro leaves Yuria and starts to walk towards Raoh. Raoh says that everything will come to an end, now. 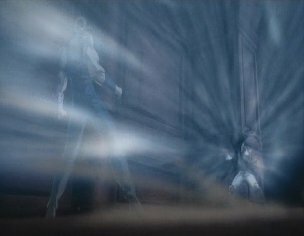 The two continue to fight, and both try using Musou Tensei at the same time. The resulting discharge of energy blasts both fighters across the arena, as they realise that as they are both master of the ultimate Hokuto Shinken technique, it is now useless and will not work! Therefore it is a contest of brute strength. It is like the fights they had when they were much younger. 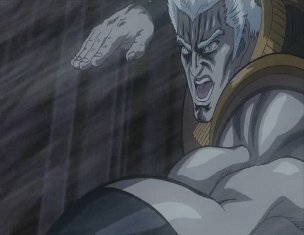 Raoh surrounds himself with energy -his touki (fighting spirit) -which is meant to destroy anything that gets in the way. However, Kenshiro moves forward and, much to Raoh's shock, makes his touki move away from him! Bat sees that Kenshiro doesn't even seem to be looking at Raoh, just his touki. Ken intends to use it to get closer to Raoh and then use a final strike to end the battle. 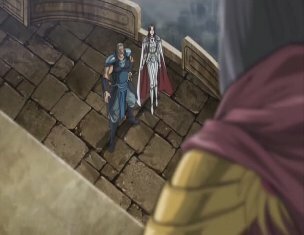 Raoh notices that Kenshiro is crying. Ken tells him that it has come to an end, the next blow will be the end of their battle. Both he and Toki had a great respect for Raoh, the eldest brother of Hokuto. Raoh takes away his spiritual energy and says that if it has come to this, then very well. Saying that this is the fist of his soul -heaven awaits! He strikes at Kenshiro. But Kenshiro avoids it and hits Raoh in his chest. 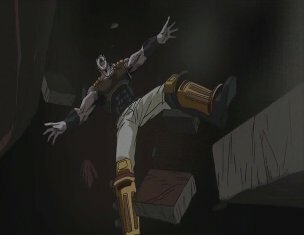 Raoh can no longer stand and falls down, not understanding how this happened, as he put all of his soul into his attack. Ken tells him that his heart is all alone, but in his own heart his feelings for both Raoh, Toki and Yuria live on. This is where Kenshiro's strength comes from, and what gave him an advantage over Raoh. Raoh attempts to get up, but he body erupts with blood. He sees the spirit of Toki once again, who tells him that the fight is over. He can now admit that he didn't abandon love and had it carved deep into his heart. 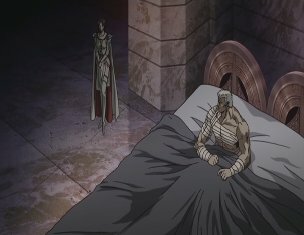 Raoh refuses, saying that he would rather die than admit to that. 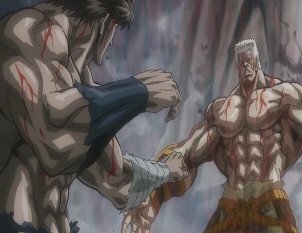 As Toki vanishes, Raoh tells Ken that within his fists is the pride of the oldest brother of Hokuto. Forcing himself to stand, he tells everyone to observe the way he, Ken-Oh, dies. He makes himself walk over to Kenshiro. 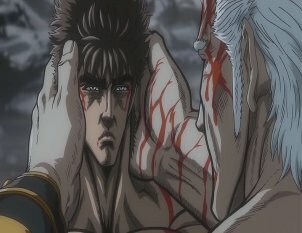 Raoh puts his hands on Kenshiro's head, as he wants to see the face of the man who defeated him. He praises Kenshiro for what he has accomplished. Yuria then suddenly wakes up -she is still alive! Bat and Lin call out to Ken to tell him the good news. Ken is surprised, but Raoh tells him to go and, at long last, Kenshiro and Yuria are finally reunited. 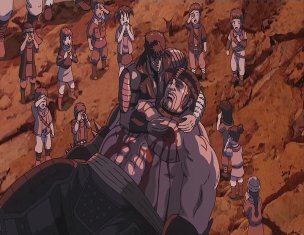 But Raoh has one more surprise: when he hit Yuria, he has made it so she will live for a few more years rather than months. He tells her to live her remaining life with Kenshiro in peace and happiness. He then turns away from them and thinks about Reina, saying that he has now found what love is. Even if his body is destroyed, he thinks that his soul will be by her side. He then announces that he needs no help in returning to heaven. Raising one of his fists into the air, he says that of this life, he has had no regrets. Raoh is dead. But his death has basked the world in a new light, a light which signals the start of a new age. 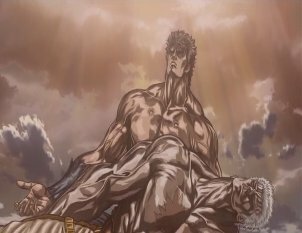 Kenshiro picks up Raoh's body and says that the heavens are smiling. 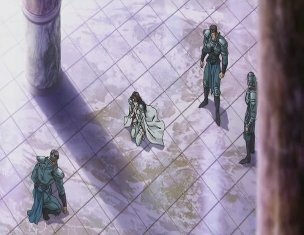 Later on, he, Yuria, Bat, Lin and Kokuoh-Go watch the fire as Raoh is cremated. Yuria says that terror was the only way to rule the violent wasteland, but ruling by terror does not bring peace. 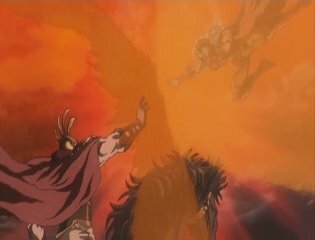 Raoh must have wanted to be defeated by someone who possessed love, and that one day he wanted pure light to pour over the wastelands. Kenshiro says that he will live on as the successor to Hokuto Shinken. Elsewhere, Kokuoh is sent to where Reina and Akashachi are. 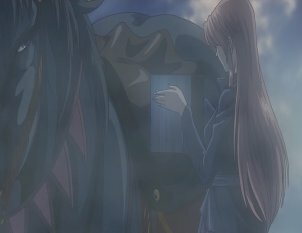 Reina takes an urn, which contains Raoh's ashes. 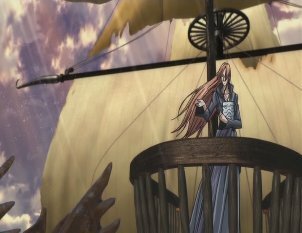 She gets on Akashachi's ship and spreads the ashes over the sea. She says that in the life she stayed with him, she hasn't had any regrets. She believes that one day Kenshiro will also head across the sea and go to their homeland, just like Raoh did when he left Shura with baby Kenshiro all those years a go. When released in Japan in 2007, the film grossed the equivalent of around $1,479,911. This means it was more financially successful than the first Legend of Raoh movie, but I imagine it was still not as successful as the makers would have hoped. Japanese dubs of films like Alien Vs. Predator Requiem made more money than this movie. Really. Overall, this movie was the 123rd highest grossing movie of the year in Japan. 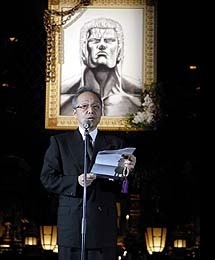 -A special event was held for the movie's release, where a real-life funeral service was given for Raoh. Over 3,000 fans attended the event. -A lot of fans were surprised that Juuza did not make an appearance in the movie. 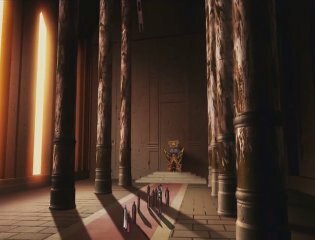 Some believe he was going to appear, and when Giraque reports his findings to Raoh, Raoh is sitting in a canyon, without Kokuoh...was there going to be a scene where Juuza appeared and tried to stop Raoh? -Speaking of missing Goshasei members, where is Rihaku's daughter, Tou? She was in the Legend of Yuria movie, but is a no-show in this. I guess Raoh could have seen her off-screen or something. -This movie is sometimes referred to as Legend of Raoh II, although it has never officially been given this title.